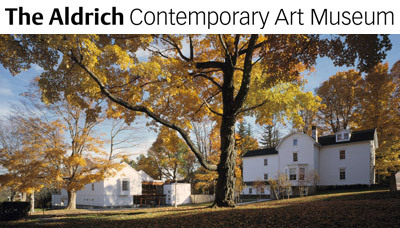 GREENWICH ART looks forward to supporting local area museums, including the Aldrich in Ridgefield, CT, the Bruce Museum in Greenwich, the Neuberger Museum of Art in Purchase, NY, and the Westport Arts Center. The Aldrich is one of the few non-collecting contemporary art museums in the United States. Founded on Ridgefield’s historic Main Street in 1964, the Museum enjoys the curatorial independence of an alternative space while maintaining the registrarial and art-handling standards of a national institution. Exhibitions feature work by emerging and mid-career artists, and education programs help adults and children to connect to today’s world through contemporary art. The Museum is located at 258 Main Street, Ridgefield, CT 06877. For more information call 203.438.4519. The Bruce Museum promotes the understanding and appreciation of Art and Science to enrich the lives of all people. 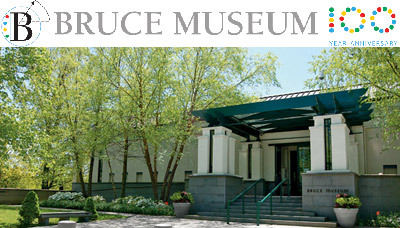 Consistently voted the “Best Museum” by area media, the Bruce Museum is a regionally based, world-class institution highlighting art, science and natural history in more than a dozen changing exhibitions annually. The permanent galleries feature the natural sciences encompassing regional to global perspectives. The Museum is located at 1 Museum Drive, Greenwich, CT 06830-7157. Telephone: 203.869.0376. 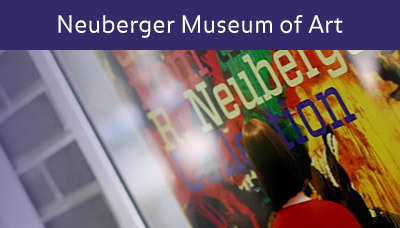 The Neuberger Museum’s permanent collection exemplifies the excellence of local private collections which have helped the collection grow to over 6000 works of uncompromised quality and variety. Featuring prestigious examples of modern, contemporary and African art, holdings include the Roy R. Neuberger Collection of American Art, the Aimee W. Hirshberg and Lawrence Gussman Collections of African Art, the Hans Richter bequest of Dada and Surrealist objects, the George and Edith Rickey Collection of Constructivist art, and American, Mexican and European master works from the collection of the late Dina and Alexander Racolin. The museum is located at Purchase College, State University of New York, 735 Anderson Hill Road, Purchase, NY 10577-1400. Telephone: Mon-Fri: 914.251.6100; Sat-Sun: 914.251.6117. The Westport Arts Center (WAC) is a visual and performing arts organization dedicated to creating arts experiences that enrich the lives of area residents and the entire community. WAC has been a vital cultural force in the community since the 1960’s, when it was incorporated as the Westport-Weston Arts Council in 1969. Since then, WAC has been committed to preserving the town’s rich cultural heritage and tradition of supporting and celebrating the arts. Westport Arts Center events are held at many different venues in the area. The main gallery is located at 51 Riverside Avenue, Westport, CT 06880. Telephone: 203.222.7070.